Who Will Be In Ariana Grande's Thank U, Next Music Video? 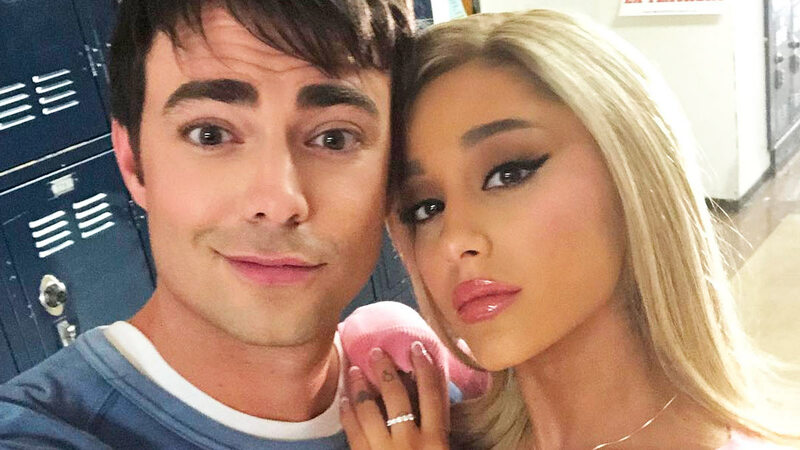 If, like me, you are ready to declare the release date of Ariana Grande's new "Thank U, Next" music video a national holiday because you are THAT amped to see it, well, I have some news that will only make you more excited for the vid/frustrated that it's not out yet: Ariana got Jonathan Bennett, aka the actor who played Aaron Samuels in Mean Girls, to co-star. Ariana has been teasing the rom-coms that she's going to spoof for a few days now (Thirteen Going on Thirty, Mean Girls, Legally Blonde, and Bring It On), but she only just shared that she'd have an OG member from the Mean Girls cast a few hours ago. She shared a pic of her with Aaron—I mean, Jonathan, and the rest of her Mean Girls posse with the caption "Way too damn needy." So basically, I'm now more excited for this music video than I am for the weekend, and that's really saying something.